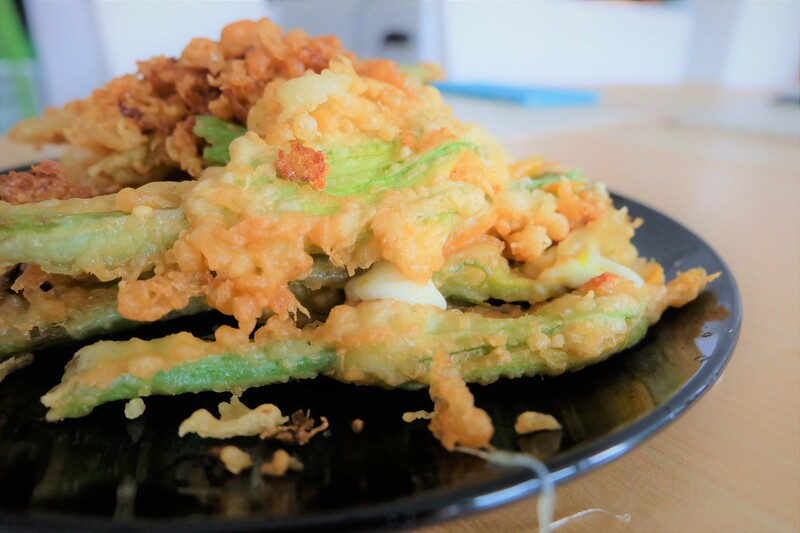 Fried courgette flowers – Fiori di zucca fritti – has to be one of my favourite Italian dishes! 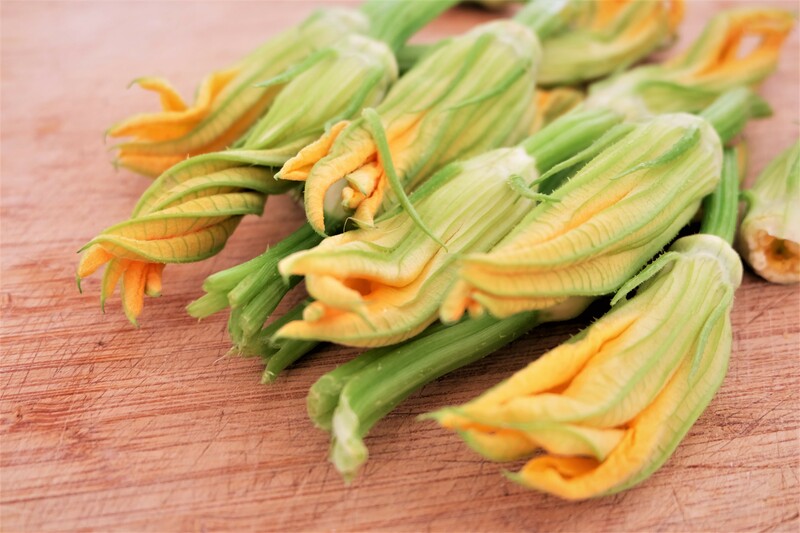 It is so delicate and tasty beyond belief, and not many outside of Italy know of this beautiful dish, much less know that courgette flowers could be eaten. This recipe comes from the Academia Barilla. Mash your anchovies with a teaspoon without their oil. Divide into 15 portions. 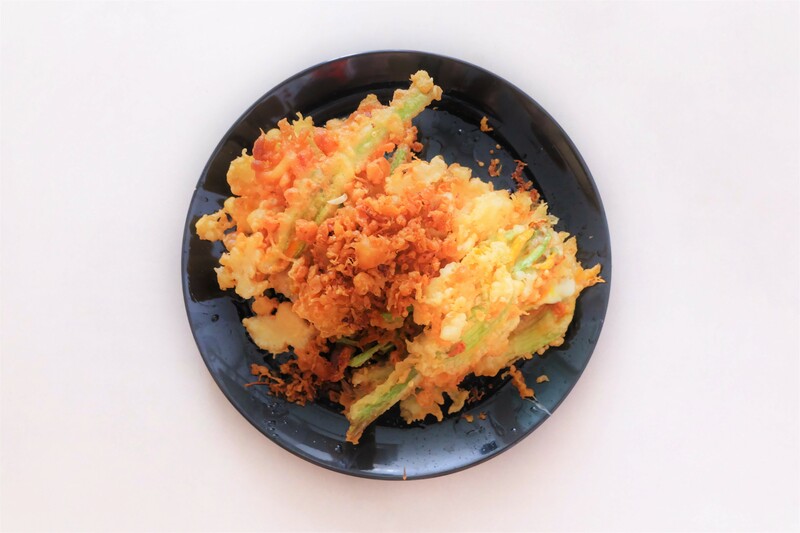 In each courgett flower, stuff with one mozarella balls and one portion of mashed anchovies. 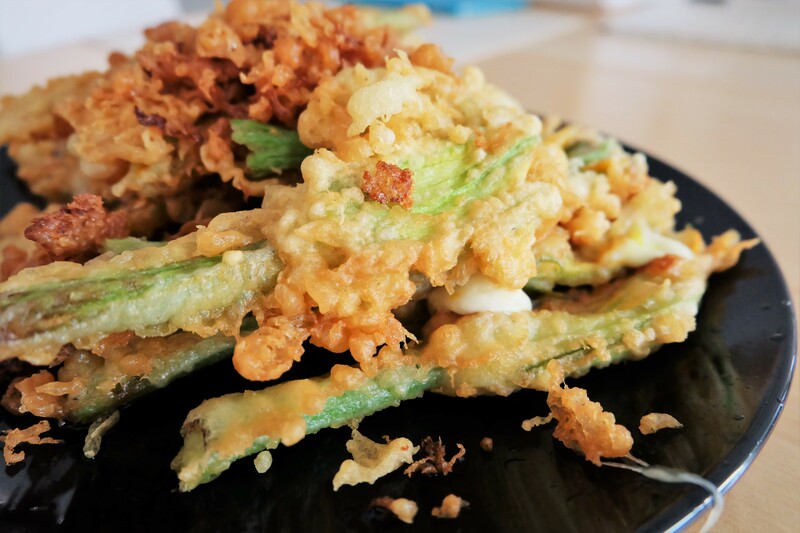 In a small bowl, form a batter with flour, egg, salt and pepêr and sparkling water.Don’t whisk it too hard so that it remains a rough and fluffy batter. Heat up your oil in a deep-frying pot to medium-high heat. Place each stuffed flower at a time into the batter then into the oil. Fry until golden brown then place on kitchen paper. Fry one or two each time. Before you go, read about my stay in San Baronto. 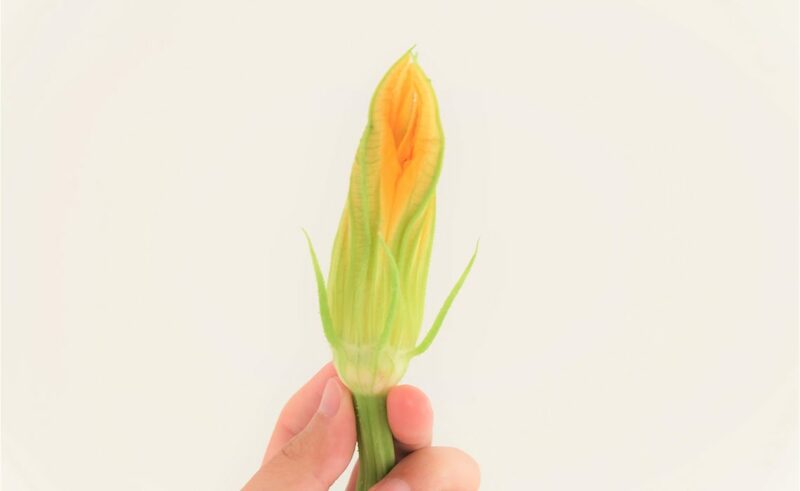 What to know more about edible flowers? 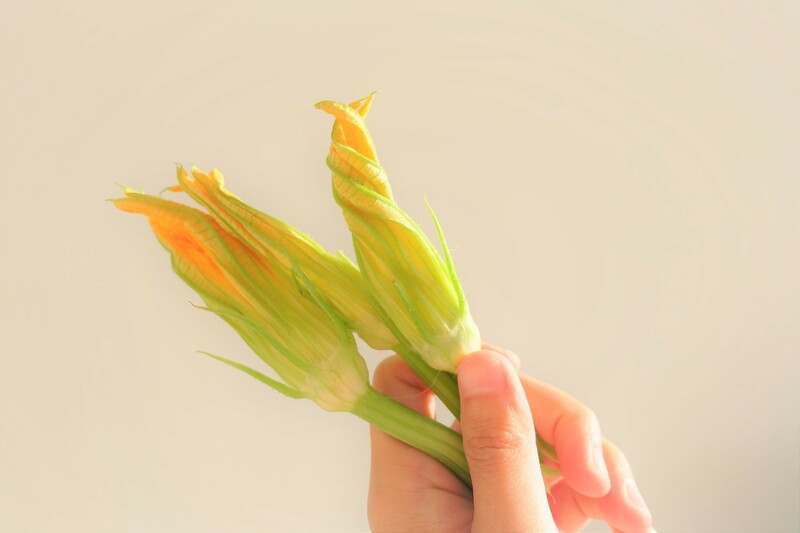 Check out my post on Chinese lily buds.